When it comes to check engine light service, the sooner you bring your vehicle to USA Automotive in Raleigh, NC the sooner you’ll experience worry-free driving. The check engine light usually comes on without warning and catches you off guard. This might bring about a sense of panic in some drivers, causing them to worry or overreact in response. We certainly want you to take action, but we also want you to know that USA Automotive can take care of any problem that we find with your vehicle. Our team of ASE certified auto technicians can provide all of these answers and repairs, usually in the same visit. Since there are often no other warning signs, some owners might think it’s okay to continue driving with a check engine light alert. That little, dark yellow light on your dashboard is an early indication of a problem that should be addressed immediately. It’s designed to give you enough time to get to USA Automotive before any further damage is done to your vehicle. The check engine light is not necessarily signaling a breakdown, but being proactive will certainly prevent a breakdown or a costly repair. 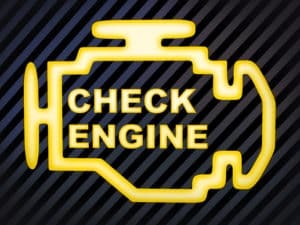 Just ‘reading the trouble code’ is not an engine diagnostic test for the Check Engine light coming on. When the light comes on, it may stay on for several days or may come on for just a few minutes and then go off on it’s on. The computer in the vehicle is constantly doing multiple self-test to make sure the vehicle is operating correctly. The check engine light may illuminate in your dash for several reasons, but the mains issues we see are due to a Fuel, Mechanical or an Emission issue. Remember, if the Check Engine light in your dash is Flashing (like your turn signal blinking on & off) this is a problem and needs immediate attention before damage occurs to vital components on your vehicle. Your “Check Engine Light” can come on for any number of reasons, and it is often an indication that something somewhere in your vehicle is not working properly. The only way to find out the specific problem is by running an engine diagnostic test. Every quality vehicle repair begins with an accurate diagnosis. 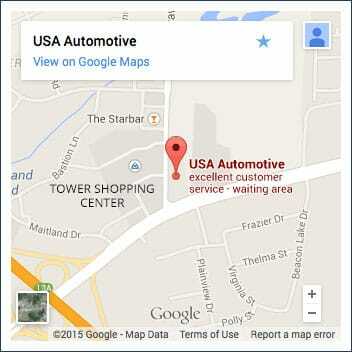 USA Automotive will provide a thorough and accurate engine diagnosis that pinpoints your vehicle’s unseen troubles. A vehicle’s misdiagnosis can cost you time and money that you don’t have to spare not to mention the damage you could be doing to your vehicle when you continue to drive with a check engine light on. The only way to know this for sure is to have an automotive expert diagnose the engine issue. At USA Automotive, your safety and the health of your vehicle are our top priority. Our expert auto technicians are ASE certified and standing by, ready with the most advanced engine diagnostic equipment to quickly and efficiently diagnose any engine issues, make any necessary auto repairs and get you back on the road in no time. When your check engine light comes on there’s no time to waste with unnecessary services. We make sure your vehicle is serviced with excellence, and we stand by our work. With an industry-leading warranty, 3 Years / 36,000 Miles, our team is confident that you’re receiving the best quality check engine light services in the Raleigh, NC area. Get Your Check Engine Light Fixed! As soon as your check engine light appears, your mental clock starts ticking. USA Automotive is a team of ASE Certified techs that are more than happy to eliminate your check engine light concerns. As you begin to wonder and ask yourself questions about your check engine light service, just know that we have your answers. Give us a call today to schedule your appointment. Our team is looking forward to eliminating all of your check engine light concerns. Schedule an appointment right now for your check engine light service, or use our online scheduling system to reserve a day and time that works best for you! We look forward to serving you!